James Graham was born on 29 July 1856 at Edinburgh, Scotland, son of Thomas and his wife Jane, née Square. He married Fanny, née Millard, at Newcastle in 1890, and they had one son. He died on 8 March 1913 at Darlinghurst New South Wales and is buried in the Anglican section of Waverley Cemetery. James Graham was educated at the University of Edinburgh (M.A 1879); (MB.CM 1882). He arrived in Sydney in 1884. He became the resident medical officer and later the Medical Superintendent at the Royal Prince Alfred Hospital. He was the Director of Sydney Hospital 1892-1913, and lectured at the University of Sydney in anatomy, clinical medicine and later midwifery between 1897 and 1912. Graham was awarded honorary degrees in Berlin, Paris and Vienna, and received a Gold medal from the University of Edinburgh when he graduated MD in 1888. Graham was the first president of the University of Sydney Medical Society in 1886. He was the founder of the Women’s Hospital of Sydney in 1895. During the plague of 1900 he was President of the Citizens’ Vigilance Committee. He was also the first Chairman of the Dental Board, President of the Surgical Appliance Aid Society and the Australian Trained Nurses’ Association. He was a member of the Board of Health, a medical officer of the Benevolent Society, a Trustee of Sydney Grammar School, and a Director of the City Bank of Sydney and the English, Scottish and Australian Bank. He was a member of the Australian Club and Vice-president of the Liberal Association. 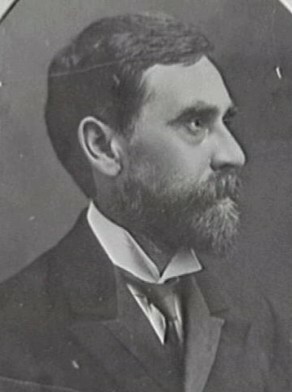 Graham was elected to the Legislative Assembly for Sydney, Belmore, 1894-1901 and for Surry Hills, between 1907 and 1910. Sir James Graham was knighted by the Duke of York in 1901. Graham was Alderman for Cook Ward, 28 November 1898 to 6 December 1900 and for Belmore Ward, 7 December 1900 to 30 November 1902. He was a member of the Electric Lighting Committee in 1902, the Finance Committee, 1900-01, the Garbage Disposal Committee, 1899-1900 and the Works Committee in 1899. A municipal reformer, he was Mayor of Sydney in 1901. Margaret Caldwell, ‘Graham, Sir James (1856–1913)’, Australian Dictionary of Biography, National Centre of Biography, Australian National University, http://adb.anu.edu.au/biography/graham-sir-james-3649/text5687, accessed 16 January 2013.